Is the Elusive Factional Warfare Overhaul a CCP Long Con? The participants in EVE’s Factional Warfare system – in which four competing factions are involved in a forever war for control of key low sec regions of space – have been asking for an overhaul of the system that is the focus of their everyday gameplay for years now. But try as they might, patch after patch, changes were made to other areas of the game: a new null security space sovereignty system was introduced, capital ships were overhauled, and most recently, the new Citadel and Industrial Structures were released to the population of New Eden. But no love for Factional Warfare. “CCPLS!” shouted the militias, but they were not heard. Of course, Factional Warfare was not dead or even dying. Some years showed more activity and excitement than others, and farming became a real problem as running plexes with low skill alts in unfitted ships (except maybe for a smattering of warp core stabs in the lows) turned out to be a very lucrative, low risk ISK making opportunity. 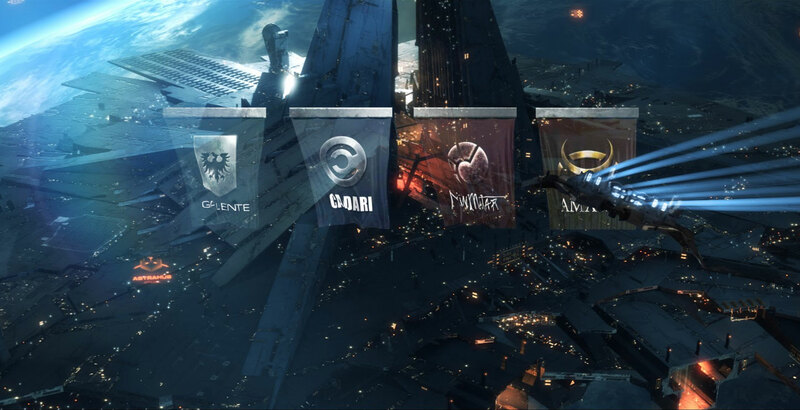 Since the summer of last year, the Caldari-Gallente war zone in particular has been re-energized by a shift in the balance of power. As some powerful Gallente corporations left the militia for greener pastures, the Caldari saw an opportunity to make a concerted push out of their fortress systems, and started assaulting more and more Gallente systems. To their own surprise, the GalMil resistance was not as strong as they had expected, and the State managed to hitch itself to Tier 3 of war zone control – which made farming on their side more lucrative overnight. You might think that this is all a sign of a healthy, functioning Factional Warfare system, and to a certain extent that cannot be denied. However, as the competing coalitions learned how to wage war in the age of Citadels, they found that anchoring Citadels in enemy space is key to a successful system siege. Inversely, having a Citadel of your own in your own fortress systems makes you almost invulnerable to an assault, because even if you lose your home system, you can simply move your assets to the Citadel and stage from there. The old station lock-out mechanism, which made losing your own systems a very painful experience and made systems worth fighting for, suddenly has a very limited impact. 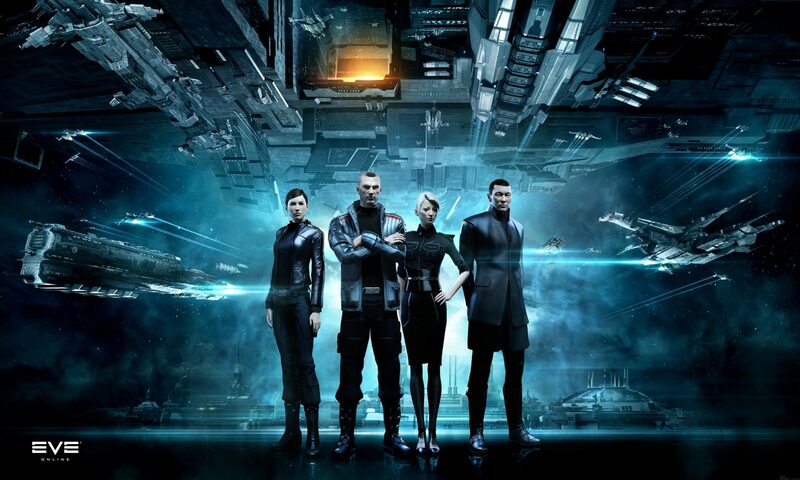 Again, players of all factions complained that the CCP game designers had left them in the cold: Citadels had been introduced without thinking of the consequences for Factional Warfare. “CCPLS!”, shouted the militias, more and more in unison. Hang on a minute – I can almost hear you thinking, why don’t the militia just shoot the opposing citadels? More content for everyone, and more content is what we want, right? Well, yes and no. You see, there is life beyond Factional Warfare in lowsec. And besides a plethora of small pirate corporations, solo PvP pilots and stray newbies venturing beyond the confines of high security space, there are now essentially two big power blocs in lowsec: Shadow Cartel on the one hand, and Project Mayhem/Waffles/Snuffed Out on the other. Shadow Cartel (SC)/Escalating Entropy (EE), has just recently lost its EE component when that alliance disbanded (although it looks like many ex-EE capsuleers moved into Shadow Cartel). The already weakened Shadow Cartel bloc just yesterday suffered another potential setback as its hugely influential leader Paquito stepped down and left the alliance, so its future is uncertain at the time of writing. However, whether there is one massively powerful bloc or two is perhaps beside the point. Here’s why: the problem for our warring militias is that these Machariel-blob-wielding, carrier-toting pirate lords are as eager to find content as anyone, and for them, a citadel fight is an opportunity that is too good to miss. In other words, even if CalMil nor GalMil were to use their batphones, chances are pretty high that at least one of the two blocs will show up for the timers. The power disparity between a pirate bloc fleet and the stratop fleets that a single militia can field is so big that the militias really have no other choice than to make sure that the pirate group that is traditionally siding with them, is also notified or batphoned. And there you have it. Citadels have forced Factional Warfare into the playing field of the “endgame” pirate groups. It’s no longer feasible to have a traditional brawl between two mid-sized militia stratop fleets (these days, those fleets are also composed of 50-60 T3 cruisers, Rattlesnakes and the like, so it would be wrong to call this level of combat small-scale). Instead, every fight that matters becomes a showdown between the pirate blocs, and whichever side shows up in force wins the citadel – which then decides the outcome of the system siege and the balance of power in Factional Warfare. You’re still here, after all that text? Great! Then you have deserved to find out about what I believe may be a long con on the part of CCP. Or actually, you may already know. Did you read Reza Najafi’s (excellent) article Lowsec is Dead the other day? If so, you’ll begin to see the outlines of CCP’s plan. Yes, they ignored the cries of the militias. But they did so for a reason: with the upcoming introduction of mining platforms and the planned changes in the Thukker Arrays, Reza Najafi believes the apex pirate forces will no longer be able to support themselves (on a corporate level at least) in low sec. And he certainly has a point. Compared to nullsec corporations, their lowsec counterparts are paupers as it is – ratting taxes are negligible, money moons are not that numerous, and POCO taxes don’t make the same kind of money that their nullsec cousins do. Take away the money moons and capital production capacity, and it’s not hard to see the big boys wondering why they are staying in this area of New Eden in the first place. And this, of course, might well be one of CCP’s goals with its structure-based roadmap. Nullsec is for the bigger, more established corporations who want to build endgame ships and content. Low sec space is for smaller scale, gang combat and it is – and perhaps should be – the playground for the militias. It is a vision that I for one would be quite happy with, should it come to pass. Let the militias fight over Citadel timers without constant interference. Let independent pirates roam Placid and Black Rise in engageable fleets. I want to see courageous or foolhardy veterans take out their carriers to flip the tide in a pitched battle, without fearing a massive third party drop. And please, pretty please, let solo pilots roam without running into 30-man gate camps of bored pirate lords. Oh. And get rid of warp core stabs in plexes please. That too. Would this be enough to fix Factional Warfare? Probably not. Some balancing changes to citadels would still be in order – the idea of a Factional Warfare-only structure intrigues me for sure – but I am pretty sure that if the low sec power blocs were to leave low sec, or fall apart, it would make enough of a difference to hold off on making any other major changes for a while we observe how the new meta evolves. So. CCP? Was that the plan? I wouldn’t mind finding out. Thanks. Did you enjoy this article? Consider supporting Crossing Zebras. Lynx has been in EVE since 2014 and has his roots in EVE University. Nowadays he is active in Factional Warfare and leads small bands of Caldari Militia or does solo work.